Many frequent flyers choose the Kenneth Cole Reaction 20 Inch Upright Carry On over other carry-on suitcases exclusively marketed towards power travelers, as it sells for a lower price, while boasting many of the same features as it’s pricier competitors. I have been using my own Kenneth Cole Reaction carry on case for 8+ years, both for carry on and checked luggage, and it has stood the test of time around the world several times, having been on at least a dozen different airlines. It also tends to be roomier inside for packing a few extra things, even though the outside and size specs are the same as other cases. ABS 20" Expandable 8-Wheel Upright / Carry-On. Expands For Greater Carrying Capacity. 8-Wheel Spinners Allow Smooth 360 Degree Rotation. Lightweight Construction. You may have noticed the Kenneth Cole Reaction ABS 20-inch Upright Carry On has a higher price tag than many rival carry-on suitcases. 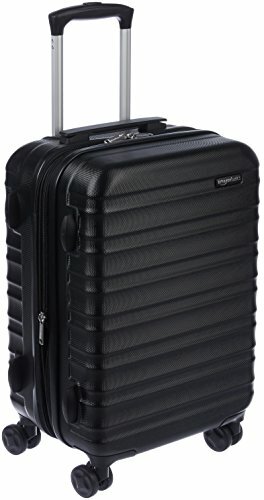 Generally selling for just under $80, it’s certainly at the upper end of the casual carry-on suitcase price range and may be a bit of a financial stretch for some, but those who have the room in their budget for the Kenneth Cole Reaction ABS 20-inch Upright Carry On will enjoy the features outlined below. 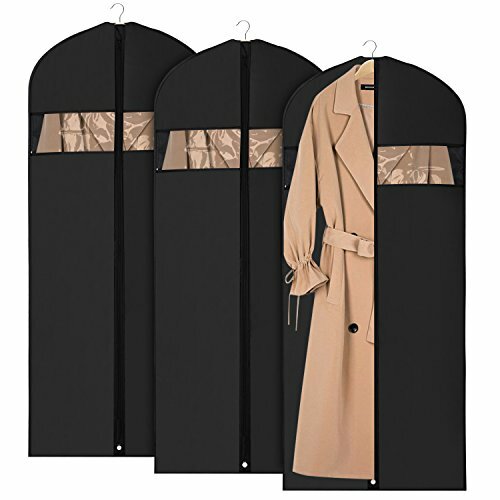 Fabric carry-on suitcases simply don’t have the strength to protect anything other than clothes, especially during those horrifying particularly turbulent flights. These days, most travelers carry a laptop or some other kind of delicate electronic device in their carry-on luggage, so a hard case is almost always preferable. 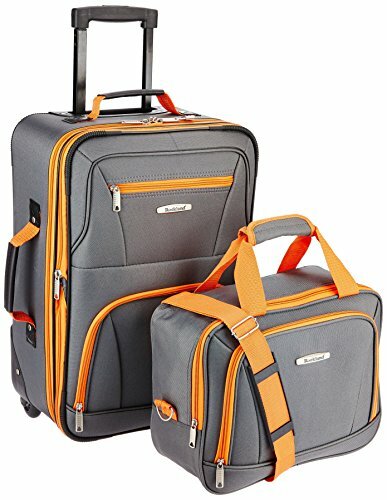 As its name suggests, the Kenneth Cole Reaction ABS 20-inch Upright Carry On Suitcase features 95% ABS construction. 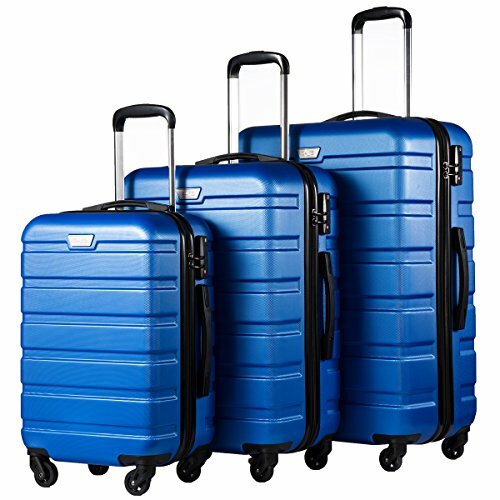 ABS is often used in the manufacturing of hard carry-on suitcases as it is a lightweight plastic and can be relied upon to protect the contents of a case without risk of pushing it over the typical airline weight limit. This suitcase weighs in at just seven pounds despite its hard-plastic shell. 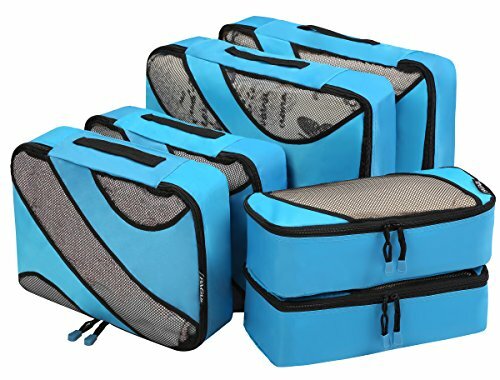 ABS is also less expensive than most other plastics used in carry-on suitcases which is why although this case is suitable for frequent flyers, we recommend it primarily to casual travelers who have neither the need nor desire to drop a lot of money on their luggage. To add to the protection provided by the ABS shell, the ABS 20-inch Upright Carry On Suitcase also features reinforced corners. This molded corner reinforcement makes for a level of shock absorption not provided by many competing carry-on suitcases and protects the contents of the case from the knocks and bumps typically suffered in turbulence. If you have ever relied on a backpack or a carry case as your chosen piece of carry-on luggage, you are almost certainly familiar with how difficult it can be to carry your luggage on your back or in your hand the entire time you are in the airport. If you have a laptop or a similarly heavy object in your bag or case, dragging around your carry-on luggage becomes even more complicated and will likely put a great deal of strain on your arms and back, which is the last thing you want before a long flight. 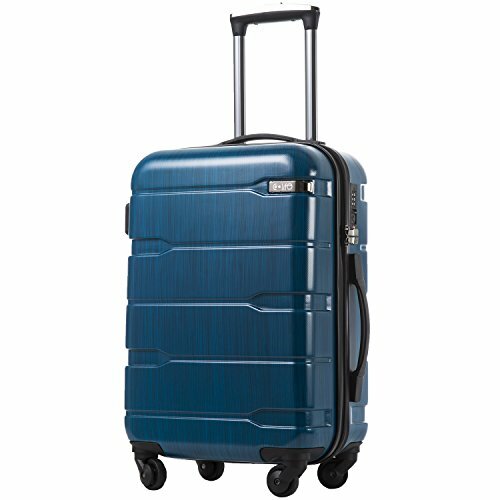 With the Kenneth Cole Reaction ABS 20-inch Upright Carry On, this isn’t an issue as the case is fitted with four smooth and sturdy wheels. With this four-wheel construction, you will be able to pull your suitcase behind you or push it in front of you, eliminating any risk of you damaging your back or putting pressure on your joints as you make your way through the airport. Although you may not realize it when looking at a picture of it, the Kenneth Cole Reaction ABS 20-inch Upright Carry On features two handles. The first and most noticeable handle comes in the form of a stationary plastic strap, which rests on top of the case’s hard plastic shell. 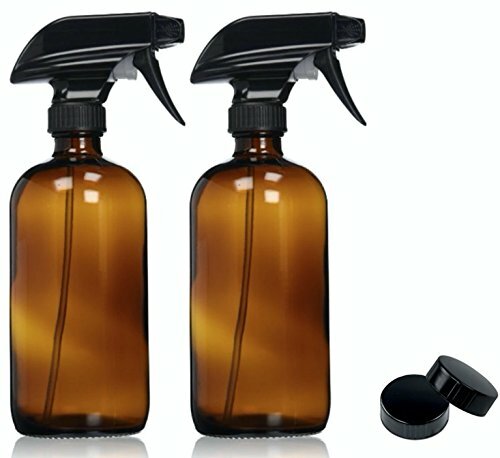 The second and more difficult-to-notice handle is a retractable option which can be raised and lowered to a variety of heights. This retractable handle is most useful when dragging the case behind you, while its stationary counterpart is best suited for carrying it by your side. The folks on the Kenneth Cole Reaction design team made the clever decision to fit the ABS 20-inch Upright Carry On with four side bezels to allow it to be stood on its side when not being pulled across the airport floor. Although this may seem like a trivial feature at first, you will no doubt come to see its value when you stop to grab a bite to eat and can’t find a place to sit down. Kenneth Cole Reaction has been responsible for some seriously memorable carry-on suitcases, ranging from low-tier models for those who vacation only a couple of days out of the year to premium alternatives geared towards businesspeople who find themselves on a plane at least once a week. 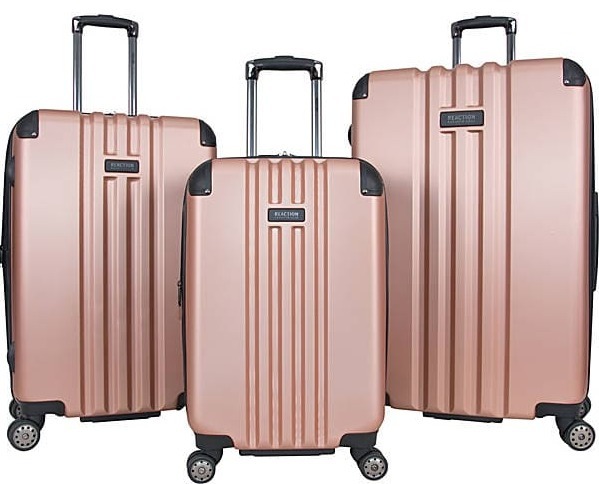 The brand’s ABS 20-inch Upright Carry On Suitcase could be purchased and enjoyed by travelers from both of the aforementioned groups and all demographics in between, as its many features serve to make it stand out from most other carry-on suitcases in its price range. Just why are so many travelers purchasing the Kenneth Cole Reaction ABS 20-inch Upright Carry On Suitcase and should you join them? We hope we have helped you answer this question in this in-depth look at the carry on and all it has to offer. 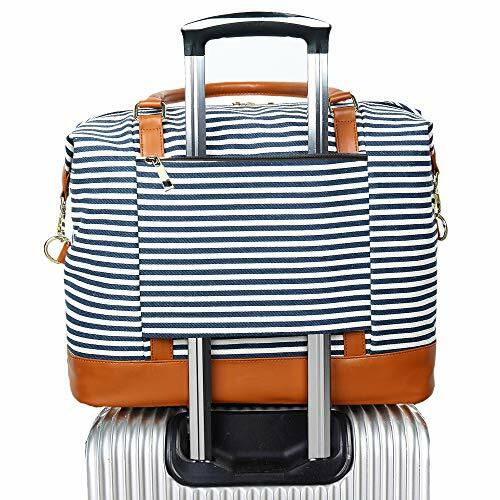 Casual travelers with a little bit of room in their budget will like this suitcase as it allows them to travel in style, safe in the knowledge their most prized possessions are protected from the turbulence typically encountered on long-distance flights. 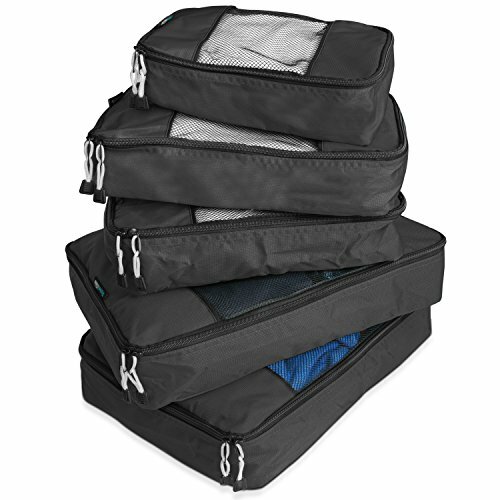 While those who only fly occasionally or for short periods of time could save themselves some money by purchasing a less expensive carry-on suitcase, inexpensive alternatives rarely come equipped with the many features of the Kenneth Cole Reaction ABS 20-inch Upright Carry On and are unlikely to last nearly as long. 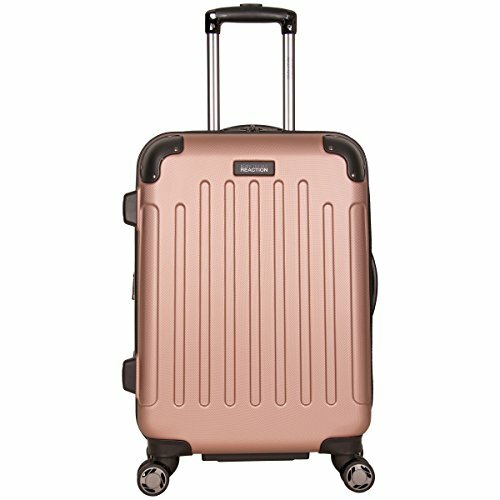 If you are a dedicated traveler or just want a hard plastic case you can rely on for the next decade of weekends away, the Kenneth Cole Reaction ABS 20-inch Upright Carry On may just be the carry-on suitcase for you.